As you may know, the Trail is incredibly popular for Milfordians and the surrounding towns and is used for recreation and transportation by all types of enthusiasts. 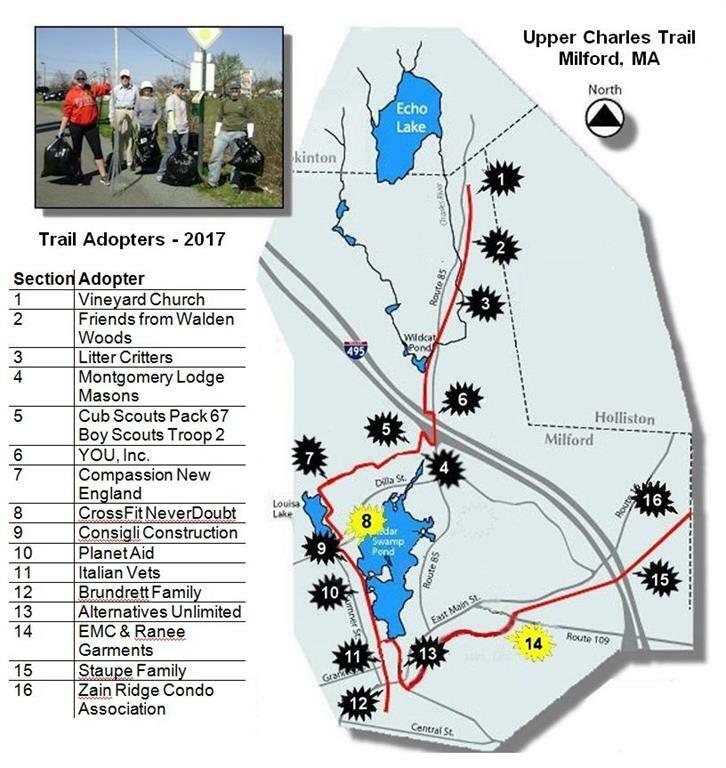 The “Adopt a Trail” program allows for organizations to take a certain amount of ownership in the care and maintenance of a chosen section of the trail. There is no fee associated with the program and the Friends will place a sign on your section, for all to see, that you are a a proud adopter. General responsibilities include litter removal, general maintenance and reporting/inspection. For more information such as available locations and responsibilities please feel free to contact us. Happy Trails!